Google and a host of companies announced Daydream VR support for four more devices this week at CES, bringing access to virtual reality to a growing number of people. With the latest announcement, the ZTE Axon 7, Huawei Mate 9 Pro (not the Mate 9) and Porsche Design Mate 9, as well as the ASUS-made ZenFone AR are all ready to support Daydream and all of the available apps from Google Play. 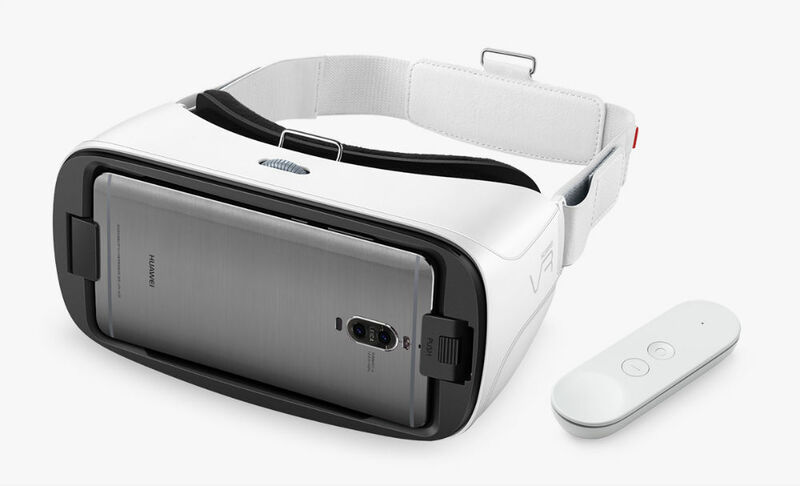 Additionally, Huawei is working on its own Daydream headset (pictured above) which will be available later this year exclusively for Huawei devices. For the ASUS ZenFone AR, which we have written up a couple of times now, it also supports Tango, which is Google’s augmented reality hardware/software platform. It should be noted, the Mate 9 Pro isn’t exactly for the US market. It’s never been officially made available, but you can find it on Amazon for about $1,000+. Main difference between the standard Mate 9 and Mate 9 Pro is a curved 5.5″ QHD AMOLED display instead of a 5.9″ FHD LCD display.